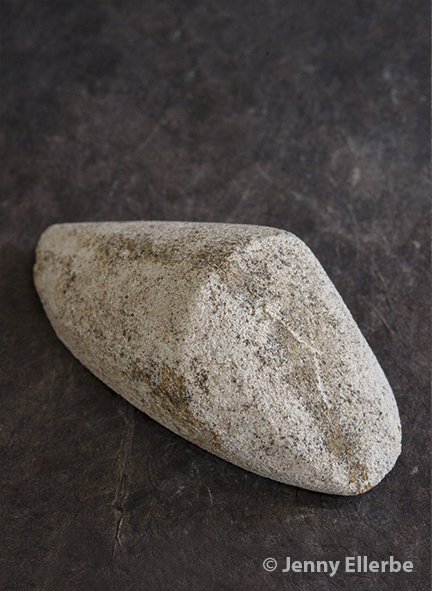 People used some of the rock from trade to make stone spear points. They also used stones and minerals to make decorative items, like the objects seen below made of lead ore called galena. 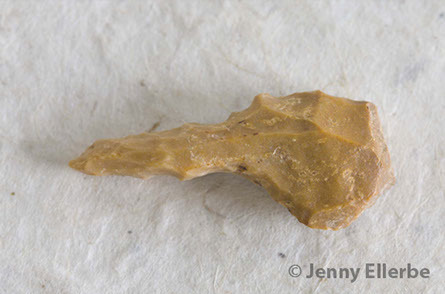 They made some tools, like very small hand tools called microliths, from stone found closer to home. Soapstone bowls, however, were made elsewhere before arriving at the site. They were carved at the quarries in Georgia and Alabama before shipment. 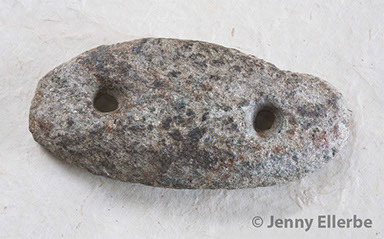 During this time period, many people used stones for cooking. They made these stones hot in a fire and then used them as a heat source in earth ovens. 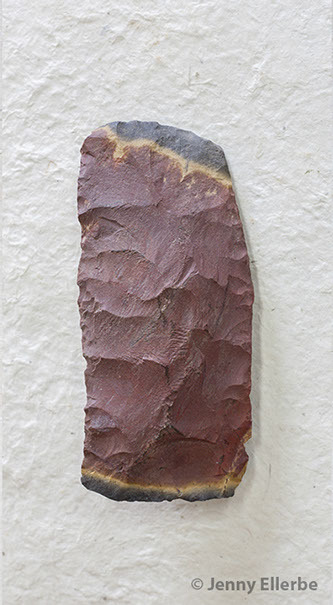 Without rock, the people of Poverty Point had to come up with other ways to cook their food. One solution to this problem was right under their feet. 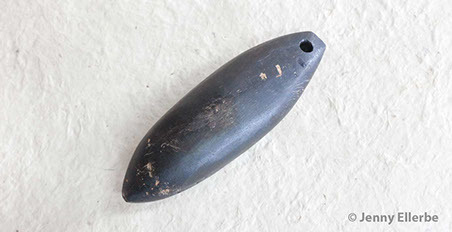 People used the soil on Macon Ridge to make the site's most common artifacts: Poverty Point Objects (PPOs). They used these shaped wads of fired mud for cooking in earth ovens. Researchers have found PPOs as far away as Florida's Atlantic coast and throughout the Southeast. Archaeologists have traced the soil used to make some of these distant PPOs directly to Macon Ridge. People must have either gotten these items in trade or while visiting the site. 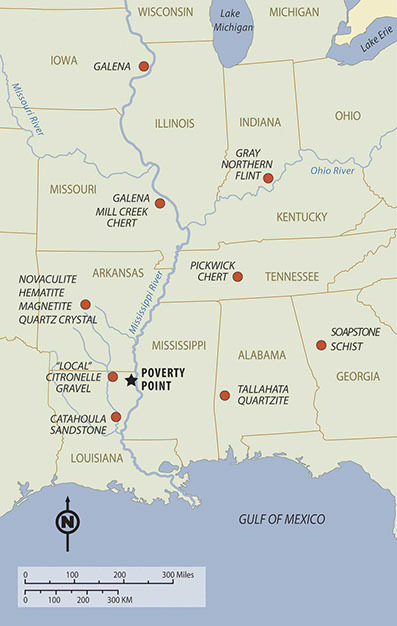 The raw materials used to make many of the artifacts found at Poverty Point came from far away. The map above shows where some of these materials came from. 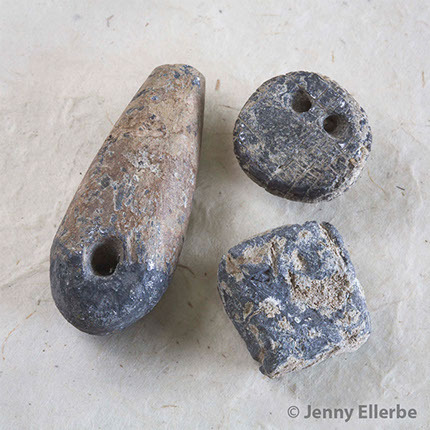 Scroll over the red dots to see examples of artifacts made from some of these resources.